GARDAÍ ARE SEEKING assistance from the public in tracing a 17-year-old boy who has gone missing. Ricky McDermott from Oldcastle in Meath was last seen on Main Street in Virginia in Cavan between 12.30am and 1am on Monday 1 April. A group of local volunteers have organised a search for the 17-year-old in the area. The teenager is described as being 6 feet tall with black hair and brown eyes, and of average build. When last seen, he was wearing blue jeans, a white shirt with a grey pinstripe pattern, a navy jacket and brown shoes. Gardaí have appealed for anyone with any information to contact Kells Garda Station on 046 928 0820, the Garda Confidential Line on 1800 666 111 or any Garda station. 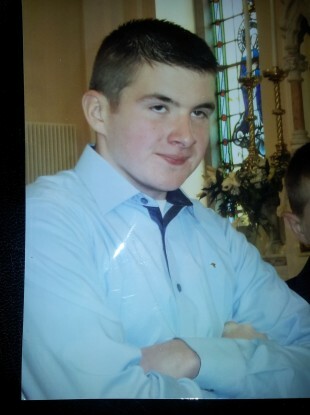 Email “Gardaí appeal for information on missing Meath 17-year-old”. Feedback on “Gardaí appeal for information on missing Meath 17-year-old”.